Click the button below to add the ST-15 Ultimate Keepsake Kit to your wish list. ST-15 Ultimate Keepsake Stuffer Kit is ideal for the entrepreneur that is looking for a starter kit that will give them everything they need for a balloon gift wrap business and enough supplies and equipment to get them into business and going quickly without the immediate need to reorder inventory replacements. This Keepsake Stuffer balloon machine starter kit includes everything that The ST-10 does and much more in supplies and equipment. You will have the added carrying case that when needed will enable you pick up your balloon stuffing machine and move from location to location quickly and easily. 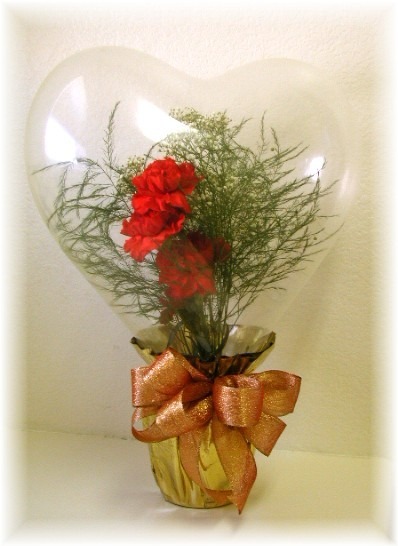 The added Bud Stuffer and 6" heart shaped balloons will be a good tool to help create more traffic that brings the buying customers back to your location. This kit comes complete with all the equipment, instruction manuals, and supplies you need to wrap a gift in a balloon in a classy way. With the ST-15 starter kit you will be taught exactly how to start your gift in a balloon business and how to stuff and decorate the stuffing balloons. You will know just what to do, how to do it and what to use. !The Keepsake Balloon Stuffer has a full 2 year warrantee! This large kit will require our freight forwarding companies services for any overseas deliveries and cannot be shipped US Priority Mail. The ST15 is shipped in 2 large boxes..